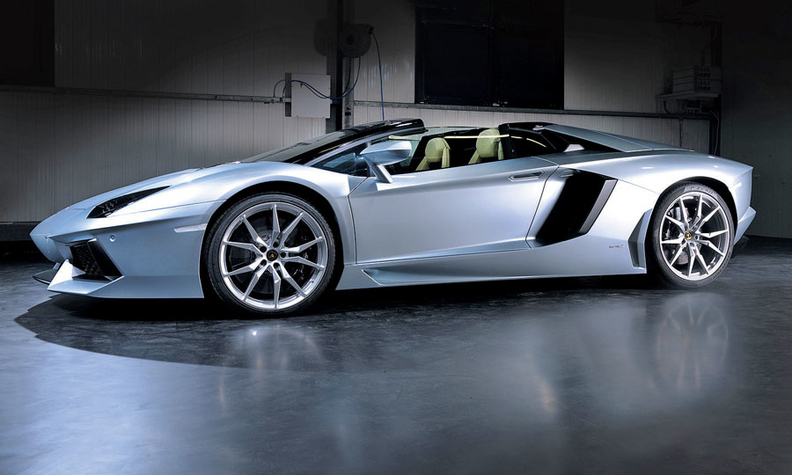 The Aventador has an 18-month waiting list. Lamborghini builds 1,000 a year. LOS ANGELES -- Automobili Lamborghini, the Italian exotic sports car maker founded in 1963 by Ferruccio Lamborghini, is laying big plans for its 50th birthday celebration next year, including a new car. The company, now part of Volkswagen Group, will hold the Grande Giro Lamborghini in May and is asking owners worldwide to ship their cars to Milan. From there the convoy of exotic cars will scream through Tuscany, Rome, Bologna and finally to the Lamborghini factory at Sant'Agata Bolognese. Lamborghini CEO Stephan Winkelmann said the automaker will unveil "a special car that will celebrate" the anniversary -- a one-off design. "It will not be a revival or retro," Winkelmann said at the Los Angeles auto show. He declined to say more about the car. Lamborghini has set up a Web site to handle the logistics of shipping an exotic car to Italy. The factory also will have several chase teams of mechanics following the driving route in case a brittle older car -- or a newer one driven too enthusiastically -- needs roadside assistance, Winkelmann said. Also, every dealer in the world will have a smaller-scale event as well, he said. The timing is good for an anniversary party. Lamborghini is coming off a strong year, with more global sales through October than in all of 2011, despite the difficult European economy and the Italian earthquake in May that halted production of the Aventador. "We are really at full speed," Winkelmann said. Already, the Aventador coupe and roadster have an 18-month waiting list. Lamborghini is building 900 to 1,000 Aventadors annually, up from a peak year of 630 units for its predecessor, the Murcielago. "The global [exotic car] market is 25,000 cars, so volatility and opportunity are very close together," Winkelmann said. For 2013, he predicts stability in the U.S. market, strength in the Middle East, more risk in Europe, while "crossing our fingers" about the Southeast Asian and Chinese markets.